We drove today from Valley of the Rogue State Park to a spot just west of Eugene (I've got a shoot tomorrow in Eugene, so we're staying nearby tonight). 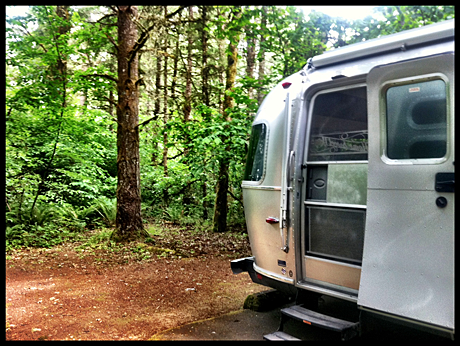 We're staying at a campground called Richardson Park on the edge of Fern Ridge Reservoir. It's so pretty here! We've got to come back when we have more time to play and get out on the lake. Campsites are wooded and private and have water and electricity, and we haven't seen the lake yet, but are headed there now.